To celebrate ladder safety month, now is the time to 1) review your ladder safety program, 2) conduct ladder safety training, and 3) test your ladder safety knowledge. The following outline provides an overview of using ladders properly. Climb a ladder by holding on to the rails and not the steps. Climb facing the ladder with your body centered between the rails. Use three points of contact, with at least three extremities attached to the ladder at all times. Do not twist your body while climbing. Do not climb with hands full of gear. Put any materials you need to take up a ladder into a tool bag/belt that you wear on your person. Use hand lines, hoists, or manlifts to lift and lower heavy objects. Fall protection must be worn based on the hazard assessment if you are working on scaffolding or on the roof of the building. Footwear with good support, non-slip soles, and free of mud, oil, and any other slippery debris is required when working on a ladder. Safety glasses or hardhats may be required for overhead work. Never stand on the top two steps. Fully open step ladders. Never use a stepladder in a partially-closed position. Ladders must have a spreader or locking device. Open and lock cross spreaders. Stepladders must not exceed 20 feet in height. Do not use ladders as a work platform. Keep the area around the bottom and top of the ladder free of debris. Allow only one person on a ladder at a time. Do not move or extend the ladder while occupied (i.e., no ladder jumping). Check the ladder for damage and defects before use. If damaged or defective, immediately remove the ladder from service and get rid of it. Get help when moving large ladders or working on uneven terrain. For additional informtion, the American Ladder Institute (ALI) provides no cost ladder safety training for the workplace that aligns with OSHA's general industry ladder requirements. Click here to learn more about their program. 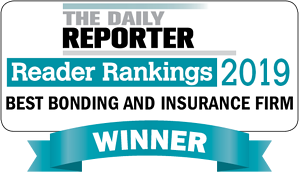 For the 2nd year in a row, R&R Insurance has been ranked the "Top Bonding and Insurance Firm" by The Daily Reporter readers! Annually, The Daily Reporter has surveyed it's readers on number of questions related to Commercial construction categories (best abatement, best material supplier, best scaffolding company, etc.) as well as general business questions. Participants wrote in company names for their top votes. 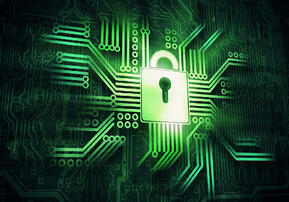 Large or small, all businesses are a target for cyber-attacks. Whether it’s a fraudulent email being sent from someone disguised as the COO, or an intercepted wire transfer - businesses must continue to be diligent in preventing these situations from occurring within their four walls. With the help of experienced professionals, we’ve developed a list of tips to help your organization avoid fraud activity (such as forged checks or stolen cards) and business email compromise. Convert all paper based payments to electronic. Checks contain a company’s entire banking identity, so the more they can be avoided, the better. Keep checks in a locked drawer that only specific employees have access to. If using signature stamps, keep these in a locked drawer as well - but separate from any checks. Monitor check orders and limit those who handle the checks. Review and update the signature cards at your bank annually (at a minimum). Never pre-sign checks – under any circumstance. Implement ACH filters and Positive Pay. Use dual authorization for ACH and wire transactions. Review transactions before they’re sent to the bank. Work with your IT department or vendor to ensure safeguards are in place. Be aware of fraudulent emails (typos, poor grammar, inconsistencies in email addresses, etc.). Provide education to employees on fraud and fraud prevention. Have a social media policy in place to limit what is being used in the workplace and while connected to the company’s wi-fi network. Have a process in place for when employee involved with Accounting leave the organization. 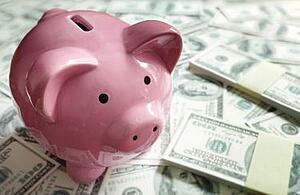 Alert your bank of employees who’ve left that had banking responsibilities. Change passwords that previous employees had access to. For more information about having the right insurance in place to properly protect your business, contact a KnowledgeBroker at R&R Insurance or take the free cyber risk calculator below. A consistent challenge for majority of businesses is how to effectively attract and retain employees. With millennials making up the majority of the workforce, businesses must alter their tactics in order to stay ahead. Like years before it, 2018 was no exception to the rising increases of health insurance coverage. Since 2017, single coverage insurance premiums have increased by 3% while family coverage has increased by 5%. Nowadays, employees get their pick of affordable health care coverage options that best suit their lifestyle. That being said, employers must be able to differentiate themselves if they want to attract and secure talented employees. 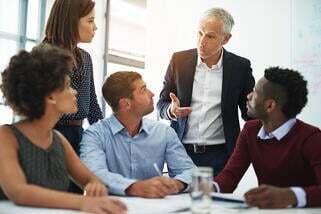 A successful tactic for retaining employees is taking a look at the needs of the employee and stacking them against financial realities. The outcome of this is to offer meaningful benefits and cover majority of their costs. Meaningful Benefits: Benefits employees actually want and will use. Amongst the information gathered, you want to design strategies that will better your goal of securing talent. Look for patterns and brainstorm ways that you can break that particular trend (ex. Why people are leaving?). As mentioned earlier, millennials are flooding today’s workforce. This makes them the prime target for your attracting efforts. Medical, dental and vision insurance alone are not going to have millennials flocking to your company. So how do you start from here? You need to understand the mindset of a millennial. They put choice and affordability at the top of their list. The main goal in all of this is to enhance lives by reducing financial burdens. To learn more about how to effectively attract and retain employees, click here or contact a KnowledgeBroker for more information. How can you prepare for a potential OSHA visit? 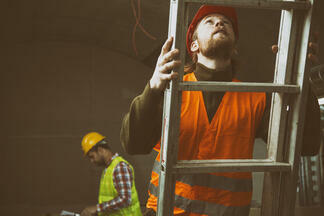 Awareness: do your company have a plan if OSHA would come knocking? Benchmark: how does your company's injury and illness rates compare to industry peers? Are you a red flag for OSHA? Review applicable OSHA compliance programs compared to your company practices. Preparing for any type of OSHA audit takes commitment from leadership. The best success are organizations with safety teams to champion safety 24/7. R&R Insurance can help support safety personnel with self-audits, policy review, training content, and much more. Start the conversation with an email: safety@rrins.com. Whether we're ready for it or not, winter weather is upon us. And with colder temps comes an obvious increase in the use of fireplaces. For many of us, our fireplaces/chimneys haven't been touched in months. However, chimneys account for 75% of home heating fires - meaning homeowners should actively maintain and follow the necessary upkeep. 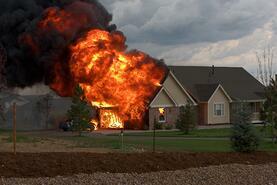 Property Casualty 360 provides the following tips to prevent chimney fires in your home. Have your chimney inspected and cleaned at least once a year by a professional, and more than that if creosote builds up on the chimney walls more rapidly. Consider installing a stainless steel liner that will withstand even the highest temperatures and will keep the embers contained. Watch out for soot buildup. Soot is softer than creosote, but is also flammable and should be cleaned up regularly. Between the professional inspections / cleanings, be sure to check and monitor your wood-burning fireplace for signs of buildup or other problems. Clean the interior of your fireplace, including the floor, regularly. Sweep or vacuum up cold ashes. Your chimney has a cap on the top of it with open sides (usually covered in mesh to keep rain, birds, squirrels, and debris out). Make sure this cap is regularly inspected and replaced when necessary. Check the interior of your fireplace for creosote buildup. It is flammable, therefore too much buildup is a fire hazard and should be cleaned away with a creosote remover as soon as possible. Anytime there is smoke indoors from your fireplace, troubleshoot and immediately correct any problems you find. Possible causes are a dirty chimney, soot or creosote buildup, other debris, a sample that isn't open or fully opened, or wood not building completely. To improve your fireplace's efficiency, you should also consider installing heat-proof glass doors to protect against heat loss and a fan or blower to direct heat into the room. If possible, burn hardwoods like oak, maple, ash, and birch. These woods burn hot and long, are cleaner to handle, and have less pitched sap. They also tend to leave less creosote buildup but can be more expensive. Looking for additional safety tips for your home? Contact a KnowledgeBroker at R&R Insurance. As of 2018, the videos below are ranked as the most popular by OSHA and the US Department of Labor. Whether you're looking to train employees, or just share knowledge with members of your organization - these videos provide insight into serious safety topics. For more information on any of these topics, contact safety@rrins.com. While it may be mid-summer, there are plenty of hot days ahead of us. And studies show that working in direct sunlight can increase the heat index by 15 degrees. If you or your employees are working in the heat, OSHA's Heat Safety App is an important one to have at your fingertips. According to OSHA, the App allows workers and supervisors to calculate the heat index for their worksite, and based on the heat index, display a risk level to workers. 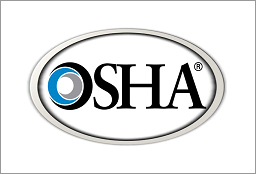 Click here for more information about OSHA's App and for download instructions.